In 2008, Aaron sent Justin an instrumental sketch of a song called “Big Red Machine” for the album, Dark Was the Night. This was before they had met in person. Justin wrote a song to it, interpreting the Big Red Machine title as a heart. 10 years of friendship and collaboration later, there are 10 more songs. Big Red Machine. 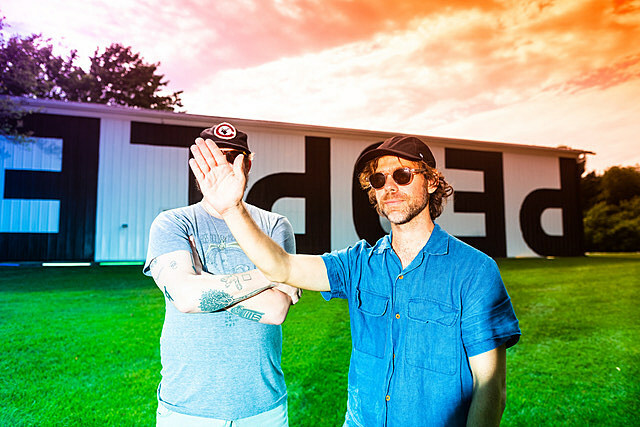 Aaron and Justin developed the material for Big Red Machine over the past two years as the foundation for improvised live sets at the Eaux Claires, Haven and Sounds from a Safe Harbour festivals in the summer of 2017, performing the song sketches with different collaborators each time. The record was subsequently produced by Justin and Aaron with longtime collaborator, Brad Cook, and recorded and mixed by Jonathan Low, primarily at Aaron’s studio Long Pond in Upper Hudson Valley, NY. Each song on Big Red Machineincludes a large number of contributors via the PEOPLE collective. The album comes out August 31 via PEOPLE and Jagjaguwar, and you can pre-order it here. Tracklist and streams of the four previously-released songs below.